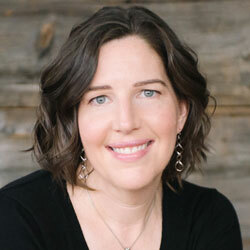 Erin Robbins has been working in analytics and marketing for the past 15 years for enterprises, agencies, and startups. She has lived around the country as well as internationally and currently calls Columbus, Ohio home. As GinzaMetrics’ President & COO, Erin helps lead product strategy, sales and marketing, and organizational operations. When she’s not busy with Ginza, she’s likely spending time with her bulldogs, enjoying a beer, or doing something active. 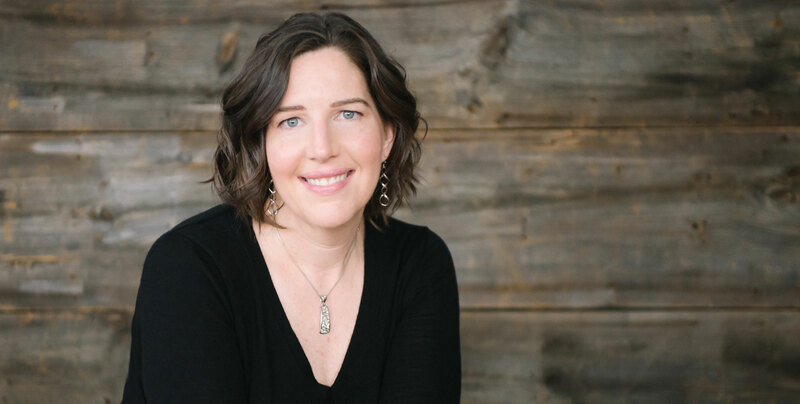 Erin came from a male-dominated technology field and had to figure out how to navigate through the gender bias while also staying true to herself. She was shocked to discover that many women were often just as much to blame as the men in supporting the gender roles in business. In her early 20’s, Erin worked for a midsize organization, as one of the lowest people on the totem pole. Her boss was often seen talking to people in the hallways and inviting them back into his office. One day, Erin was also invited and was made very uncomfortable by this boss’s comments about advancing her career. Erin started making herself busy during those invites and would ignore his advances. A female coworker of hers at the time, who was previously familiar with the boss’s invites, started spreading rumors about Erin out of jealousy. Erin assumed that because of her junior position, she would not be taken seriously on her claims against the boss and her coworker; Erin just wanted out. In order to avoid the confrontation, Erin quickly switched jobs into one she wasn’t even interested in, just to get out of the uncomfortable situation. Looking back, Erin wishes she had said something, as others may have been suffering the same way. Erin now stands firmly behind the belief that size or stature is not a determinant in doing the right thing for yourself, or your organization. Erin worked at an agency filled with amazing coworkers and clients, but a terrible boss. Having worked with some incredible bosses, Erin was torn, as she definitely knew the difference. At times, Erin felt there was no way to please her boss, almost as if she were running on a treadmill with the speed increasing, yet going nowhere. Erin knows she stayed longer than she should have at that job because of how much she loved the people who surrounded her. Moving on to her next position, she reflected on something her father told her when she began working, “Your only real job at your job, is to make your organization and your superiors look good.” Your performance is always more important to your direct supervisor than the CEO of the company, as that person is responsible for you accomplishing your goals and tasks, while helping you grow your career. This taught Erin how the type of manager she wanted to be, and how she wanted to make people feel included. When one person wins, the whole team wins. Erin is a direct leader. She wants her team to always know where they stand with positive coaching feedback on a regular basis, not just a yearly review with shocking information. Erin expects the same in return. She wants to know if her team is unhappy as soon as it becomes a problem, not 6 months later when they decide to unexpectedly quit. Erin is direct, but also casual. She uses overly formal communication and is often both sarcastic and intense. Erin also encourages all growth opportunities and believes the only limits within her organization are the ones you set for yourself. Historically, there has been a black hole between where companies are putting their money and what they are actually getting for their investment. What GinzaMetrics is trying to do now is use more data and data analysis to show companies better insight into what is working and not working, with a side by side comparison. This can also allow for recommendations on where they should be spending to make the most difference. At GinzaMetrics, they have a huge global network and customer base, which means the team is constantly working with different languages and time zones. Considering her team is reasonably small, Erin really counts on everyone to pull their weight and be a conscientious team player and it can be a real struggle at times. To stay productive, the team uses numerous channels on Slack. Erin feels that especially with a small team, everyone’s ideas and input are important so they try to keep the channels narrowed down so nothing gets lost. Erin tries to learn and do the tasks that she asks of others around her. In order to help make the most strategic and beneficial recommendations as a leader, Erin strives to always understand the core functions and roles of her team. Erin also believes in being aware of what she doesn’t know, as this allows her to put trust in the people she hires to fill those gaps. Erin would advise her younger self, and even her current self, to incorporate more balance into her life. Allotting more time for family, friends and healthy practices, such as yoga and running, has been very beneficial for Erin. She is more focused and productive during her time spent at work when things are more balanced than if she pushes herself to work 24/7. On days when Erin is working longer hours, she still tries to pull away during the afternoon to readjust herself.